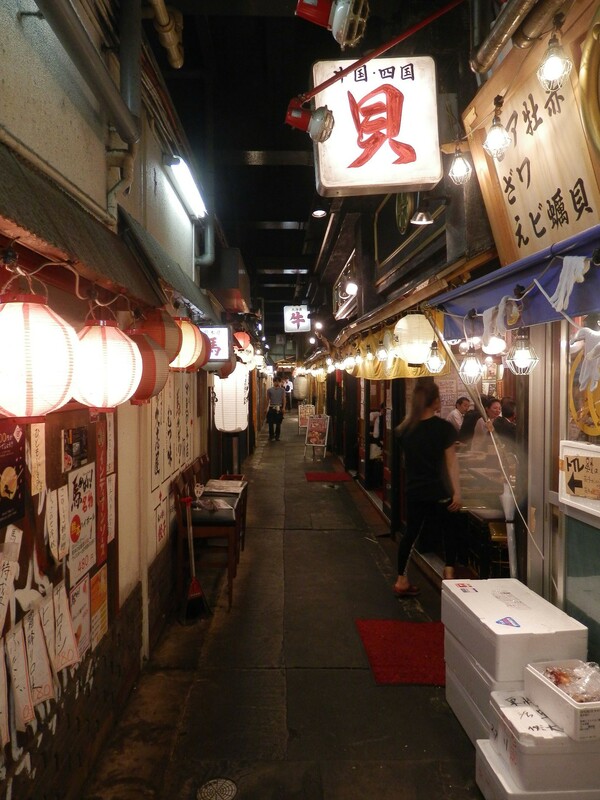 Today, I went to “Yurakucho Sanchoku Inshokugai”, which I had long been interested in. 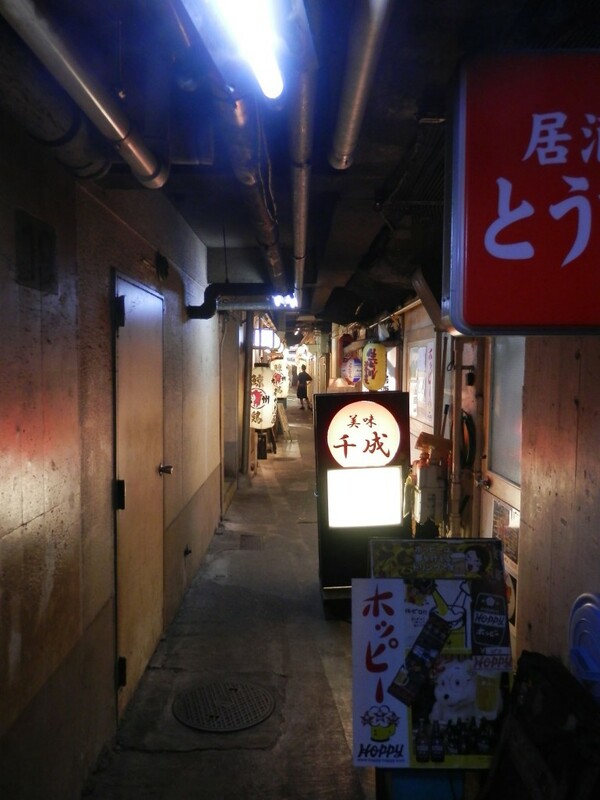 It was located in the area under the girder of railway between Yurakucho and Shimbashi stations. 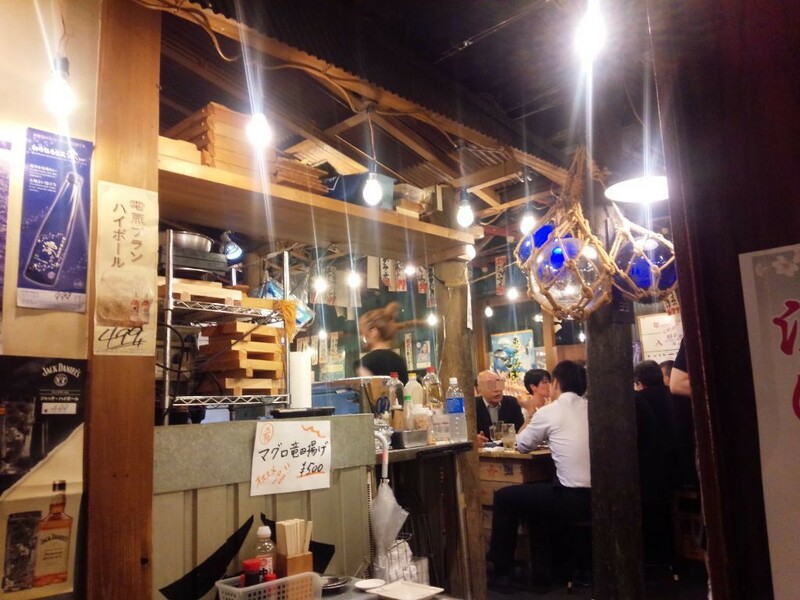 Under the concept to connect rural producer and consumer, there gathered a lot of restaurants , each of which treated local specialities of each region from Hakkaido to Kyushu. At any rate, I felt a deep and interesting atmosphere here. 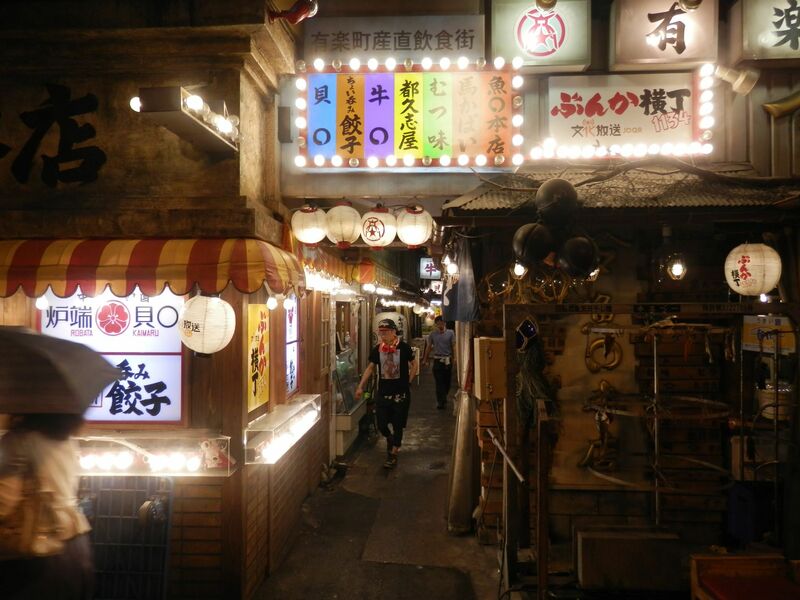 As I moved forward, there appeared restaurants on both sides of the street. Signs of beef, horse, shellfish,,, etc. What should I have? Having moved forward to find a place to eat and drink, I reached an outlet of the street. At that time, Mr. Dodgers, who came along with me, said, “Why don’t we enter the most crowded restaurant. It must be a good one.” We decided to do that. The one we visited was “Uogashi Uo○Honten”. 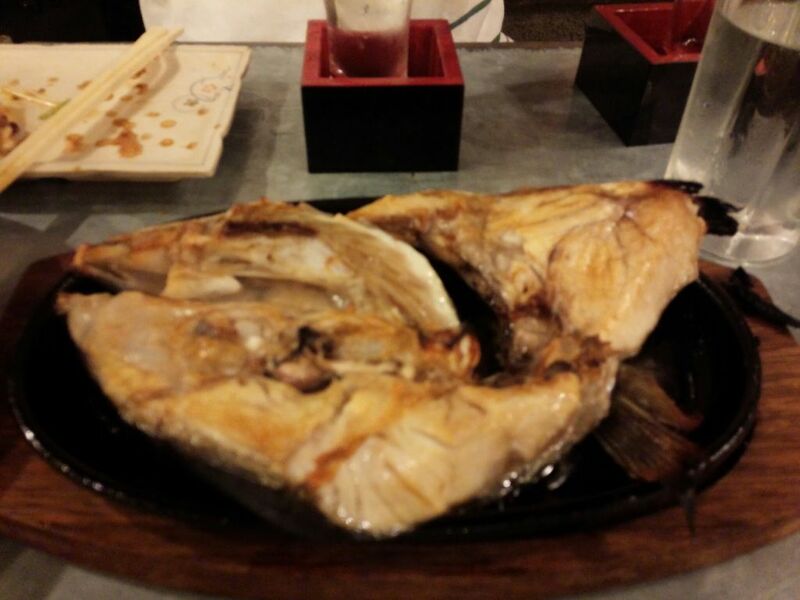 It was said that delicious fishes were directly sent to this restaurant from Numadu in Shizuoka. First, cheers with beer and potato salad. 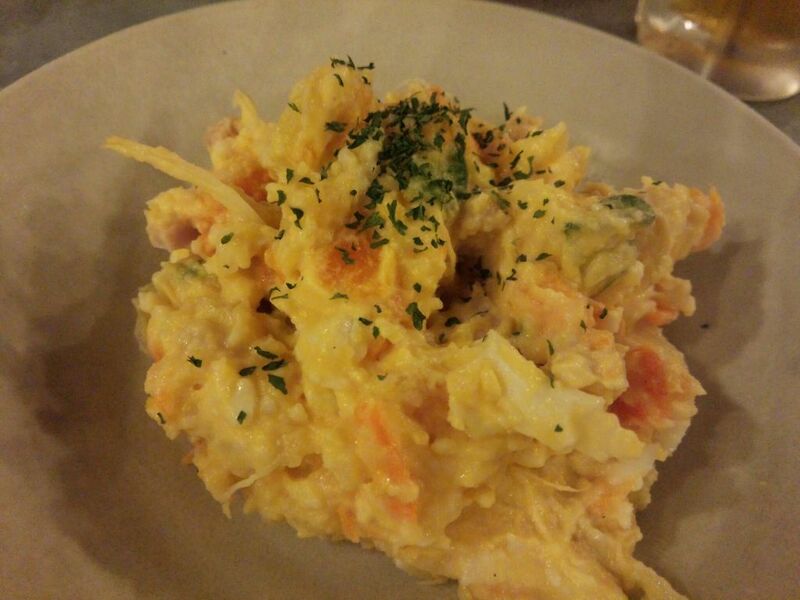 Potato salad (￥499). Boiled egg made one mild. Delicious!! 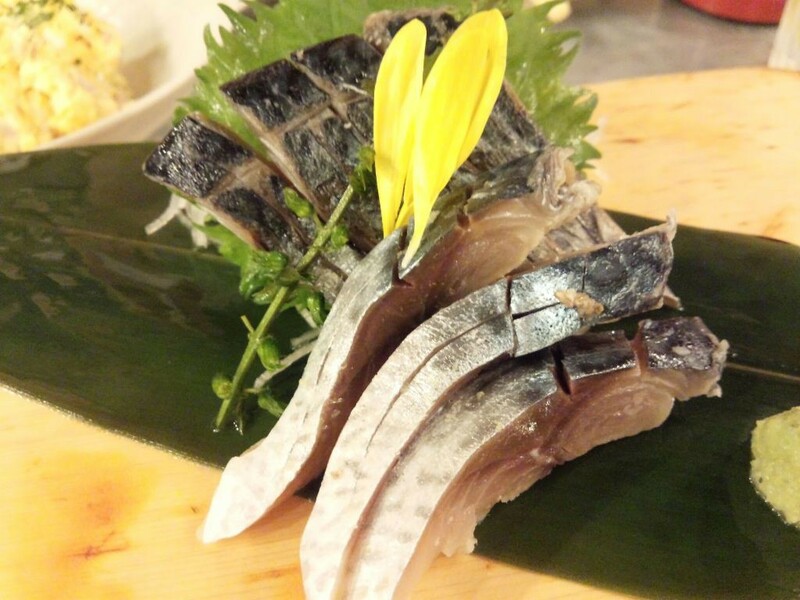 Vinegared mackerel (price unknown). We ordered raw mackerel. It was served by mistake. Anyway, it was delicious. 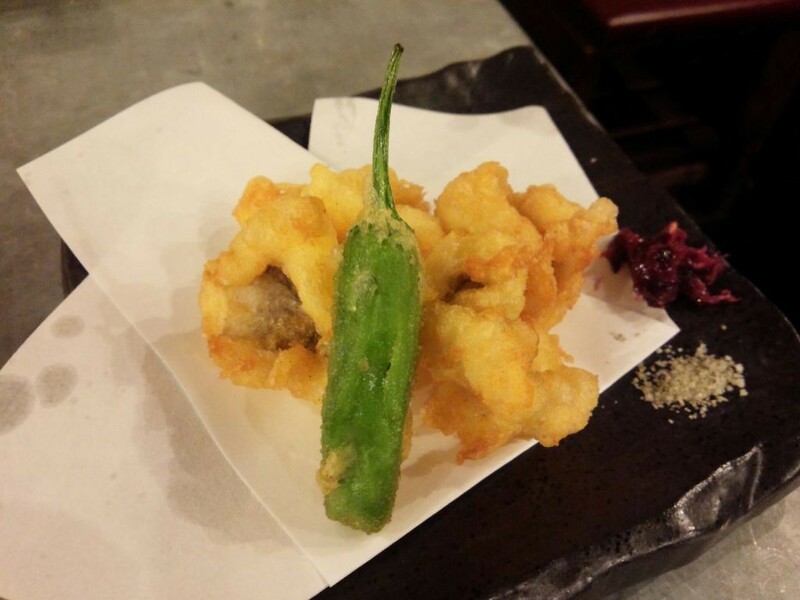 Hamo tempura (￥699). With salt and plum. 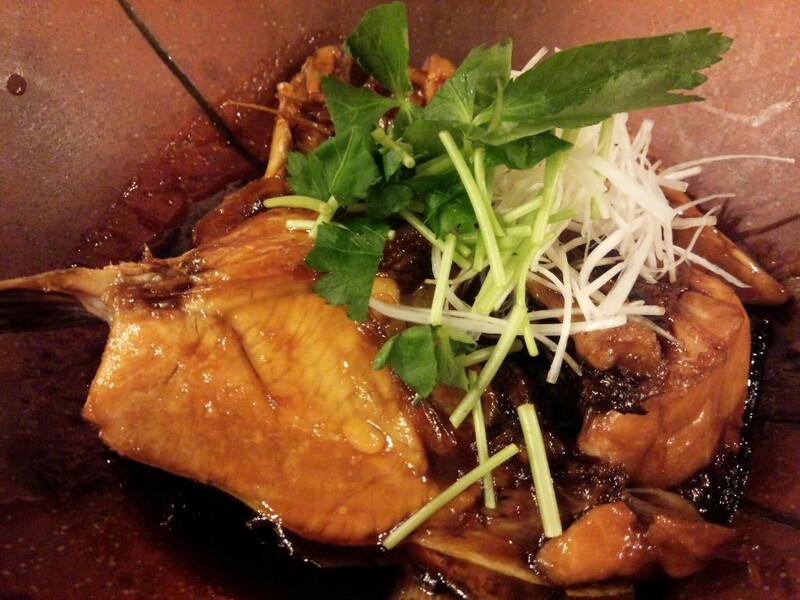 Simmered head of fresh fish (￥599). This was the best choice of a day. Delicious and cheap!! Simmered head of fresh fish was so good that we ordered broiled fresh fish head(\599),too. This one was also great!! We drunk beer, shochu and Japanese sake so much. So that was it. Then, I myself went to “Ito Ginzaten” and had Hinai Chicken Soba. It was delicious! !